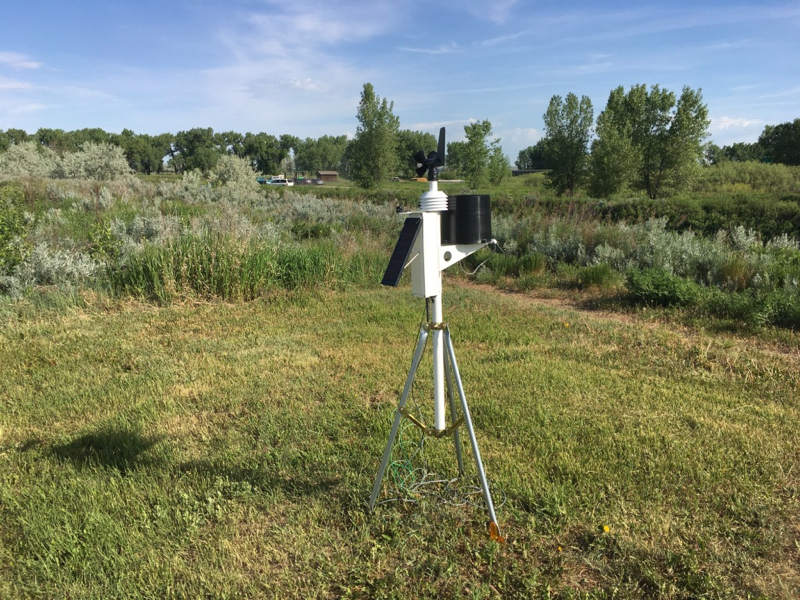 To help close information gaps related to climate in the Native Waters on Arid Lands (NWAL) study area, NWAL team members are setting up weather stations in locations of the Great Basin and Southwest where climate data is sparse. The weather stations collect information such as wind speed, temperature, and solar radiation. They are installed on reservations in areas like community gardens and schools, where the climate data can also be used by members of the community. For example, a community garden might use climate data to help assess conditions for farming.